Europe opts out of GMO cultivation! Thank you all - hope to see you again! 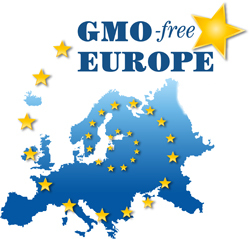 From 6 to 8th May 2015 more than 400 representatives of regional governments, business, science and civil society from 60 countries and all continents met for the 10th anniversary GMO Free Europe Conference 2015. It was a great pleasure and honor to host you all in Berlin! For further details and documentation see conference website.